If you follow any Simpson news, you'll know that Sam Simon had terminal cancer. He'd been preparing to give his millions to charity. Fans were in awe of the charity that he was doing. Sadly, today, on March 9th, 2015, he passed on. 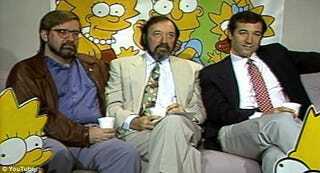 He helped create the Simpsons, along with producing Taxi and Cheers. He will be missed.